SEWELL, N.J. (WPVI) -- Another crime being in the area is being blamed on a notorious ring of thieves, known as the Felony Lane Gang. A purse was stolen from a vehicle on Sunday afternoon at Washington Lake Park in Sewell, New Jersey. Police said the gang likely busted out the window in seconds and then took the purse. The Felony Lane Gang tends to prey on women. They break into their cars and steal their belongings with the main goal of gaining access to their identities. "The gang is a well-oiled machine," said Washington Township Police Chief Patrick Gurcsik. "They're supposedly handing off the stolen items or property to a partner in the crime organization who then who tries to steal he identity." The gang originated in South Florida but operate up and down the east coast. Their members include men and women, often times wearing disguises. They're known to strike wherever they see opportunities. "In school parking lots, daycares, shopping centers and gyms," said Gurcsik. 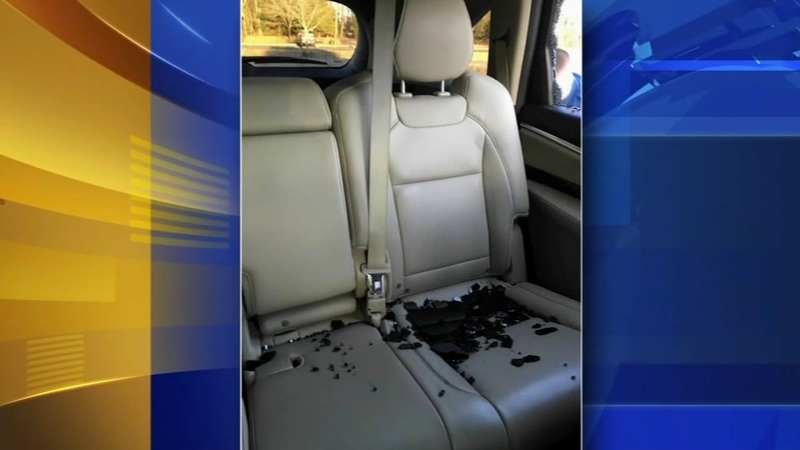 Gurcsik said there has been several reports of break-ins like this, especially in the surrounding areas outside of Washington Township. He wants to add if this happens to you make sure to immediately cancel all your cards, as the gang will act quickly.